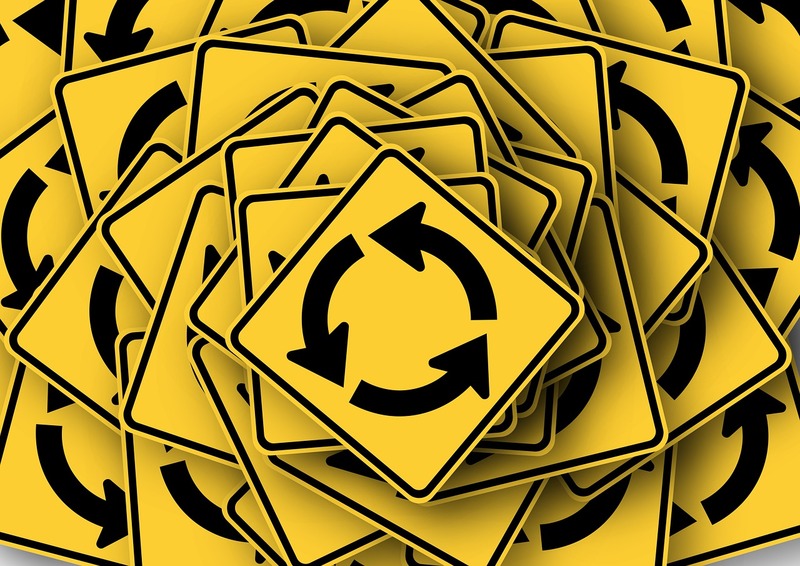 Maneuvering through a Roundabout | Scott Richards Insurance, Inc. It seems that roundabouts are all the rage, even here in Anacortes and Skagit County. The state recently completed a two-lane roundabout on Highway 20 at Sharpes Corner. They also installed one at Gibraltar Road on Highway 20. Add this to the roundabout at Commercial Ave, just as you turn into Anacortes. In town, the city put a roundabout on R ave, is considering one at 32nd and D and 32nd and M. Roundabouts are now part of drive around the town. During construction at Sharps Corner there were a lot of comments and post in regards on how to drive through a roundabout. The Department of Transportation reminded drivers about the Rules of the Road, with a link to the Washington State Driver Guide (see page 3-10.) Drivers were also reminded to use the Zipper Rule while merging in the construction zone and going through the roundabout. Whether it’s a roundabout, a construction zone, highway driving, and just zipping around town, remember to obey the Rules of the Round and to drive safely.